Liz having changed her name to Sarah Elizabeth Fischer fled Chicago to the sanctuary of the West Coast. Struggling to make peace with her past Liz, now Sarah is tormented by flashbacks. The haunting memories never fade, and she grieves for the life she thought was hers. By battling her "pleaser" tendencies she learns to live for herself. Settling in to her life as bookstore clerk and friend to roller derby girl, Kim, she starts to break out of her scarred childhood. Just turning twenty "Sarah" is ready to grab on to life with both hands. She creates a whole new persona leaving her past behind. That is until a stranger visits. 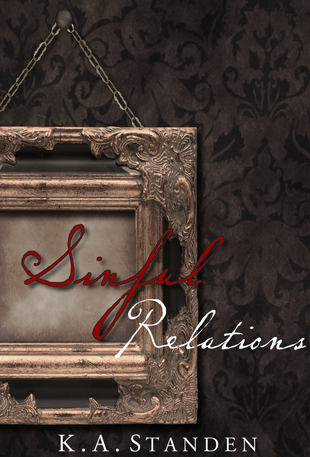 Sinful Relations takes Liz's story to the next level. Her desperate desire for answers will have irrevocable repercussions for all that assist her in her quest. Your tension and fear grows as each new character risks themselves to help one very lost girl.